Advanced offers 4 basic models of IQF tunnel freezers for vegetables. For over three decades, Advanced IQF freezer systems have been the leading innovator for quick freezing vegetables. Maintaining the natural appearance, texture and colour of the vegetables during the freezing process is the biggest advantage of Advanced tunnel freezers. Sensitive vegetables need extra care such as broccoli, cauliflower and asparagus. The biggest challenge when individually quick freezing vegetables are to neutralize enzyme activity to help prevent discoloration and structural damage to the individual vegetable. Advanced IQF Tunnel Freezers are highly efficient and designed to prevent vegetable product damage. Leafy products such as herbs or spinach can be processed by a freezer that is adapted to the characteristics of these types of products. Whatever type of vegetable products you need to freeze, you can count on quality results with Advanced tunnel freezers. Advanced Equipment custom designs IQF spiral and tunnel freezers for food processing plants. Our tunnel freezers are customized for the type and size of products to be frozen and the capacity needed. Looking for high-quality IQF vegetables without compromising energy efficiency, or yield? Then you should be checking out our tunnel freezers. For over 30 years, Advanced Equipment has been a major innovator in IQF freezer technology. Many of the standard features now incorporated in IQF freezer systems today originated with Advanced. Advanced IQF freezers have a reputation of being trouble free while achieving higher quality yields. With freezer installations in over 20 countries, Advanced is a globally recognized manufacturer of quality tunnel freezers. Our CIP system is available to clients at a very cost-effective price level. Your Tunnel Freezer, when equipped with an Advanced CIP 'Clean In Place' system, will save your factory labour production time and at the same time increase production with less downtime. Dependent on the type of tunnel freezer you wish to employ we offer varied CIP systems. Please call or email, we will send you technical information on our tunnel freezer choices and cleaning options. The Advanced CIP System Provides A Sanitary Design Of A High-Efficiency, Energy-Saving Cleaning Solution For Reduced Operating Cost, Ease Of Cleaning, And Trouble-Free Production. More Info on Sanitation. If you are looking for the best return on your freezer investment, you should give us a call. 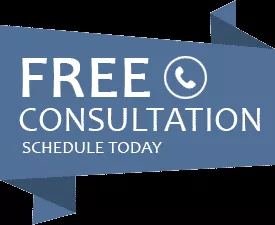 You can also schedule a free consultation on our line of IQF tunnel freezers. Advanced Freezers designs every tunnel freezer with 'hygiene in mind' for disinfection and cleaning. Advanced Equipment has been manufacturing freezers for over 30 years.... we are real engineers and real experts. 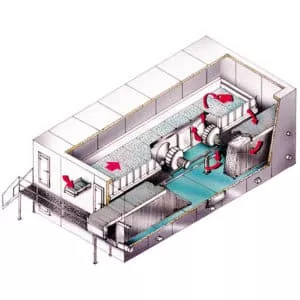 The Advanced secret was to design our tunnel freezers for fast, easy and efficient cleaning. Advanced IQF freezing tunnels are manufactured with stainless steel to help ensure that bacteria can not hide. VEGETABLE INDUSTRY: Packaged asparagus, broccoli, Brussel sprouts, etc. The CASCADE pass belt arrangement is an inline freezer providing positive conveying of product. The freezer is a continuous, cascade, inline, positive conveyed freezer that assures accurate freezing time and high freezing quality with low operation cost. VEGETABLE INDUSTRY: Peas, green beans, cut corn, mushrooms, vegetables, french fries, cob corn, diced carrots, diced onion, cut cauliflower, cut broccoli, cut asparagus, brussel sprouts. Advanced Perforated Tray Tunnel System utilizes a combination of horizontal and vertical pulsating air, continuously turning the product in the fluidization form.